It was an honor and joy to be a Judge in JDate’s Top Proposal Video Contest. Over the years, I’ve seen many marriage proposals for couples who have met online. Watching all of the top nominees in the Top Proposal contest brought tears to my eyes. I’m truly happy for all of the couples who have found love on JDate. The couple has won a 7-day vacation to the Bahamas. 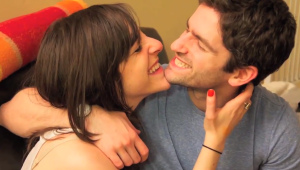 It’s a joy to feature Eric and Nina in our Cyber Love Story of the Week. Congratulations to both of you from your friends at CyberDatingExpert.com. Do you have an online dating story to share? Julie Spira is a top online dating expert and was an early adopter of Internet dating. She’s been helping singles find love online for 20 years with her Irresistible Profiles programs. For more online dating advice, follow @JulieSpira on Twitter, like us at Facebook.com/CyberDatingExpert and sign up for our free Weekly Flirt newsletter. 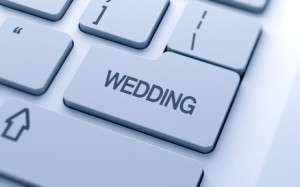 Would You Propose Marriage Online? Get out your digital fingers as this week the pressure may be on to propose marriage to your sweetheart as today is not just the first day of Spring, but it’s also? National Proposal Day. Held twice a year in both the Spring and the Fall, Proposal Day falls on the Vernal Equinox, where daytime and nighttime are of equal lengths. While I still long to see traditional marriage proposals, complete with the gentleman asking for permission from the father of the future bride, to getting down on one knee and asking, “Will you marry me?,” the trend to announce relationship status changes and become “Facebook Official” is happening more-and-more online, than offline. We’re dating in a Web 2.0 World, so does a digital courtship include proposing in cyberspace? Are Facebook pages replacing the New York Times wedding section as the place to submit engagement announcements? With one out of five relationships starting online, it’s a natural progression to see a digital marriage proposal and to even see live tweeting during a wedding ceremony and reception. But still you need to ask yourself and your significant other, would you want your marriage proposal to be handled on the public Internet, at a ball game, on TV, or do you prefer that this be an intimate experience for just the two of you? Talking about how you use social media as a couple is imperative to the success of your relationship. Both of you need to be on the same digital page, or it can backfire and cause friction in your relationship. Just this week, the big news was the announcement by Tiger Woods and Lindsey Vonn that they’re officially a couple. How did we find out? Together they shared their new status on their individual Facebook pages. While responses to their announcement filled the Twitterverse, one might ask, will they soon be ready for a digital marriage proposal? How are People Proposing Marriage?Meanwhile, everyday people are proposing in a variety of ways online including Twitter, Facebook, YouTube, in an Infographic, and even on television. In a heartwarming and surprising marriage proposal, Huntsville Alabama TV anchor Jillian Pavlica of Fox 54 was shocked when the live breaking news story she was reading turned out to be her very own marriage proposal from her boyfriend, Vince Ramos. After reading the news in front of her television viewing audience, Ramos appeared on the set. Fortunately, she said yes, but it also included a social media element of the video going viral along with sharing the news on her Twitter page. Mashable reported on 5 couples who met on Social Media, from Flickr, Instagram, Facebook, Tumblr, and Twitter. The New Yorker reported on recent trends of marriage proposals on YouTube and one couple even proposed marriage on Groupon. We’re living in a world that is surrounded by online activity. Couples jumping on the digital bandwagon today profess their love look at it in the same romantic way as someone who might have received a marriage proposal on the Jumbotron at a baseball or basketball game years ago. These days, couples want to create a digital history of their relationship to add to their digital memory book. From memorializing the first date, first kiss, and even the marriage proposal Facebook timelines are filled with these romantic moments. Wishing you a Happy National Proposal Day and much love and joy in cyberspace, or wherever you may roam. Would you, or wouldn’t you propose marriage on Facebook, Twitter, Groupon, or in an Infographic? Would you say yes? Feel free to chime in with your thoughts. Julie Spira is a top online dating expert and author of The Perils of Cyber-Dating: Confessions of a Hopeful Romantic Looking for Love Online and The Rules of Netiquette: How to Mind Your Digital Manners. Visit her at CyberDatingExpert.com and RulesofNetiquette.com.